Truth and Justice Foundation is a 501(c)(3), non-profit, public, charitable organization dedicated to assisting indigent, pre-trial and post-conviction defendants in the United States and worldwide. · Virginia Office of Consumer Affairs, State Law under Section 57-49. Call: (800) 552-9963 or (804) 786-2042. · Registered and approved by U.S. Internal Revenue Code, Section 501(a) described in Section 501(c)(3). If desired, you can request a copy of the IRS approval letter for Section 501(c)(3) status from Truth and Justice Foundation. · Tax Exempt and Tax Deductible Status. · Supported solely by public and private donations and grants as allowed by Internal Revenue Code 501(a), Section 501(c)(3). · Exonerate and remove innocent people from prisons across the nation. · Gain support of the American people to reduce mistakes in the Criminal Justice System, thereby, (1) improving the System, (2) reducing the suffering that is caused by wrongful justice, and (3) relieving the increasing negative aura surrounding American Justice. · Re-assure all Americans and the world ● that American Justice is fair and exists for everyone, ● that honest mistakes made by the Justice System are mistakes that are caused by the fallibility of humans, and ● that the perpetrated, malicious acts of a small number of devious and lawless misfits who have been allowed to influence the courts to incarcerate 60,000 to 285,000 innocent people, will not be tolerated. · Change the way in which the Appeals System handles claims of erroneous justice and wrongful incarceration by having such cases reviewed by a competent appeals system in a timely manner without prejudice, other deviousness, or impropriety. This includes cases involving refusal by the Supreme Court to hear a death penalty case because the arrival of documentation was one day late at the Court. Dr. Nash O. Thompson II, President of Truth and Justice Foundation, co-founded and co-inaugurated the Foundation in May, 2000. 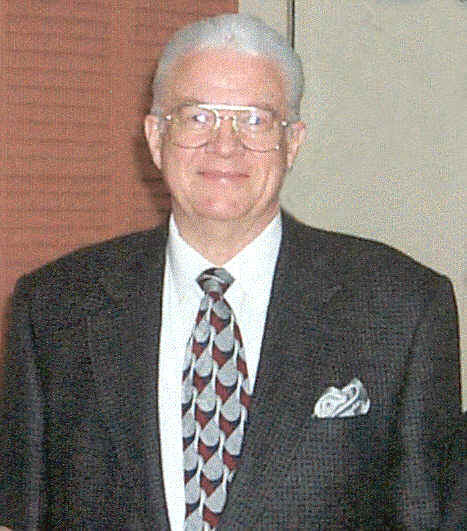 His profound interest in assisting indigent defendants is based in large part on his significant compassion for others; and, is also based on his strong desire to seek and to find the truth, to support fair justice for every one, to defend innocence, and to implement 22 years of International Management, Business, and Training experience in 39 countries, along with 18 years of corporate experience in the USA. Dr. Thompson designed and developed National Innocence Project as the primary model and instrument to initiate the operations of Truth and Justice Foundation. Summary of National Innocence Project: Project Managers, History, Programs, and Activities. · Project Managers. Nash O. Thompson II, Ph.D., Project Manager, and Manuela Cortés Thompson, Project Administrator, founded and inaugurated Truth and Justice Foundation in May 2000 and designed and implemented the National Innocence Project. Truth and Justice Foundation (T&J) is a 501(c)(3) Public, Charitable, Non-profit organization with ID #54-1989404. · T&J’s ‘Grant Proposal’. The Grant Proposal, consisting of 49 pages, summarizes T&J’s business and planning elements and is available to donors and grant-making organizations upon request. The document includes a detailed 5-Year, Pro Forma Cash Flow Budget, and a ‘Materials and Equipment Budget’. · Business and Implementation Plan’. This 175-page document contains significant detail regarding T&J’s plans to implement Truth and Justice’s National Innocence Project. It also contains a detailed 5-Year, Pro Forma Cash Flow Budget, and a ‘Materials and Equipment Budget’. T&J’s plan consolidates numerous innocence tasks and contractors under the T&J management ‘umbrella’ creating an innovative, well-organized, well-managed, cost-effective, fast-tracked, aggressive, and compassion-based project. This planning document is available to donors and grant-making organizations upon request. · Limited Donations and Grants since 9/11. Because few funds have been available to T&J and hundreds of other foundations across the nation since 9/11, the Thompsons have volunteered their time and resources to accomplish the goals and objectives of National Innocence Project since 9/11. Their efforts using their own resources includes working on the Terry Harrington Case among other cases. Notably, Mr. Harrington was released from an Iowa prison in Summer, 2003, following 26 years of wrongful incarceration. Brain Fingerprinting testing and recantation of the testimony of the key witness in the case were primary factors leading to Mr. Harrington's release from prison. Please see www.brainfingerprintinglaboratories.inc . 1. 90 to 102 innocent inmates per year in 2004, 2005, and 2006. 2. 500 innocent inmates per year in 2007, 2008, 2009. · Equal Opportunities and Services for All Humankind. T&J provides assistance to all persons / inmates focusing especially on indigents from all races, minorities and majorities, religions, ages, creeds, nationalities, sexual persuasion, or other description. T&J is an independent organization led and operated by the founders, staff, and board of directors of Truth and Justice Foundation. · Estimated 650 New Full-time and Part-time Jobs. This project when fully grant-funded as described in T&J's Pro Forma Cash Flow Budget will create over 650 new full-time and part-time jobs in private and public sectors. · Project Review and Evaluation. National Innocence Project is scalable, replicable, and transformative of model, program, and solution. T&J’s plan leads to a path of sustainability and is evaluated and supervised by weekly, monthly, semi-annual, and yearly project reviews (by case) and evaluations. · Partners. Partnering with Dr. Thompson is Ms. M. Cortes Thompson who researches and administers projects. Several volunteers assist as needed. T&J has plans to increase staff as appropriate. List of Officers and Directors, Including Occupations, Places of Employment, and Relevant Affiliations as applicable. Description of Board Responsibilities, Including Committee Assignments. List of Foundation Officers and Directors, Including Occupations, Places of Employment, and Relevant Affiliations. Decision-makers for Truth and Justice Foundation are the Board of Directors in Support and Governance Roles, and T&J Senior Management - Officers in Project Management and Project Administration Roles. Nash O. Thompson II, 63 years of age. Full-time with Truth and Justice Foundation. Manuela Cortes Thompson; Hispanic Female, 64 years of age; Project Administration, part-time with T&J; Full-time employment with a major American corporation. Nash Thompson named the following personnel to the Board of Directors. Vice-ChairPerson. Manuela Cortés Thompson. Hispanic Female, Internal Representation. Board Member. Francisco Chichizola. Hispanic male, 44 years of age. Computer Expert, employed by Homebuilders Association of America, Washington, D.C., a non-profit organization; Springfield, VA, (Washington, D.C. Area). 703-569-9227. External Representation. Board Member. Lonnie Smrkovski, Law Enforcement, 37 years in law enforcement (Michigan State Police-ret. ), and forensic voice and tape analysis expert, Holt, Michigan, 517-694-1433. External Representation. Board Member. Bruce Lagerman, Attorney, and former US Air Force Officer, Reston, Virginia (Washington, D.C. Area), 703-319-9637. External Representation. The Thompsons believe, and most everyone would agree, that uncovering the truth is complicated, complex, and elusive, and, therefore, an arduous task. The task, however, can be greatly facilitated by applying new, highly accurate and reliable forensic investigative technologies such as Brain Fingerprinting Technology, DNA (genetic fingerprinting) tests, fingerprinting tests, forensic computer analyses, and many significant others. In general throughout the USA and in other countries, forensic science investigative technologies are now available to whom? The answer is: To those who have money and can pay for the services. People who do not have money, cannot use forensic technologies to assist them in defending themselves. Notably, however, National Innocence Project makes it possible for indigent defendants to have access to a wide range of investigative technologies. Grant funding from organizations across America and around the world along with donations from individual citizens and contributions of hardware, software, and materials and equipment, make it possible for T&J to help indigents. Assist the innocent to remain free at pre-trial. Enhance the possibility that those thought to be culpable of crimes are judged by a jury. The loss of one's job due to alleged misconduct. Other similar cases that involve loss of one's credibility, or creates jealousy, causes lying, etc. Indigents - Who are they? Who are indigents? And, who will come to the aid of indigents? Innocent people who live in poverty stricken countries, regions, and zones are fundamentally indigent. Billions of people around the world fit this category. Innocent people who are homeless are usually indigent. Look on the streets of large cities around the world and one becomes cognizant of this enormous group of people. Innocent people who earn a low salary and live from month-to-month, are often one paycheck away from indigence. Millions upon millions of people fit this category. Innocent victims who lose their jobs due, in example, to mistakes, lack of scruples or criminality of a supervisor or due to the actions of a jealous co-worker, can expend their cash reserves rapidly to defend themselves, face bankruptcy, and, subsequently, become indigent in a short period of time. Hundreds of millions of people around the world are in this category. Innocent people who are indigent cannot pay the costs to hire the most qualified attorneys to defend them in court. Based on the above analysis, billions of innocent people are indigent around the world, while hundreds of millions of innocent people are just one short step away from indigence. Innocent people in either of these two categories most usually have no economic means or professional contacts whatsoever to defend themselves competently when they are falsely accused of misconduct in civil cases or illegal acts in crime. Indigent people are the people to whom Truth and Justice Foundation provides services. · God's Love for All Humankind and All Other Life on Earth. First, we dedicate T&J and all for which it stands, to God and to God's Love for us, and to our Love and faith in Him. · Indigent People Worldwide. In general, we dedicate T&J, all for which it stands, and this web site to indigent people throughout the United States, and overseas. In particular, we dedicate T&J to indigent, innocent people who have been incarcerated due to erroneous / unfair / wrongful justice. Some justice mistakes are caused by honest people who make honest mistakes. However, a significant number of innocent people lose their freedom due to the acts of devious people who harm others on purpose to hide their own unlawful acts and to save themselves from litigation and penalties. The Memory of Our Beloved Son - Nash O. Thompson III. Truth and Justice Foundation dedicates the compassionate acts of the staff and board of directors of Truth and Justice Foundation to the sweet, loving, and enduring memory of our Dear Son, Nash O. Thompson III, who passed to God due to motorcycle accident while biking with a close friend near Gig Harbor, Washington, USA. Our dear Nash was 32 years of age when he passed away on March 3, 2001. Nash had strong, loving faith in God and in his fellow human beings and animals. Nash was an incredibly compassionate, loving, caring, generous, and helpful person and planned to work with us at Truth and Justice Foundation to assist with the exoneration and removal of indigents from prison. Nash lived in numerous countries throughout the world gaining profound understanding and caring for people from many origins and learning their values and customs. His heart so full of compassion was huge for all people who knew him. His positive presence among us lifted us daily. Nash served in the U.S. Army exiting with an Honorable Discharge. He earned his Bachelor of Science Degree in Information Systems on January 31, 2001, from Phoenix University (with studies at University of Washington-Seattle, Pierce Junior College-Tacoma-Associate Degree, and University of Maryland-USA, at the U.S. Army Education Center, Frankfurt, German. Nash passed to our Maker at 6:30PM Pacific Time, USA, March 3, 2001. May God bless Nash. May God rest his mortal remains in peace and love. May God immortalize his spirit and his soul now in heaven. May Nashy always know that our love for him is profound and infinite.